Please review dates available for this venue and choose one or more that work for you. To request a booking with this venue, you'll first need to sign in with a Stagehand account that owns an artist profile or sign up for a new account. Sign in with a Stagehand account that owns an artist profile or sign up for a new account. Review the venue's profile to see if it is a good fit for you. Use the 'Request to Book' button to pick available dates that match your schedule. 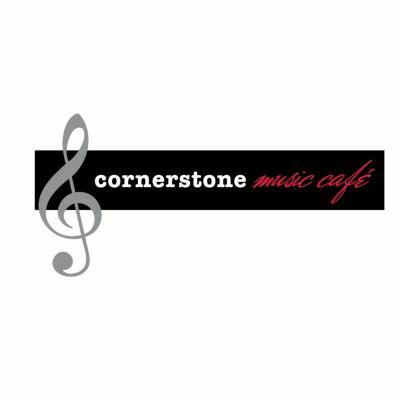 Cornerstone Music Cafe is a business that has been built around music, we are a live music venue, a café and a provider of high quality music lessons. We have been in business for over 25 years, we believe in the power of music and make it a priority to support local musicians. We host live music on Saturday & Sunday afternoons, please note that we are a small venue, we thrive on the magic that is created between an Artist and a small engaged audience. Although there is not a stage, we host our performers at the end of the room in an area about 4ft x 5ft. The largest group we can host is a trio, possibly a few more depending on their roles in the band. Rectangular. Artists set up at one end of the café and can be seen easily from the other end. Equipment on hand - 2 Mounted Mackie speakers, - 8 channel mixer, - 2 microphones, 2 mics stands and cables. - 1 monitor with 1/4 inch cables. - We have amps if needed.